Bangalore is one of the beautiful metropolitan cities of India where the climate remains moderate all through the year. This third most populous city of India located in the south-eastern part of Karnataka has several gardens, temples, and monuments. Even though the maximum temperature here is likely to shoot up to 36 to 40 degrees C in April, the summer in Bangalore is not as severe as in the Northern region of the country. If you want to spend some days away from the scorching heat then pack your bags and fly to Bangalore. There are several places around Bangalore that are worth visiting. Bandipur National Park is a famous tiger reservoir under “Project Tiger”. 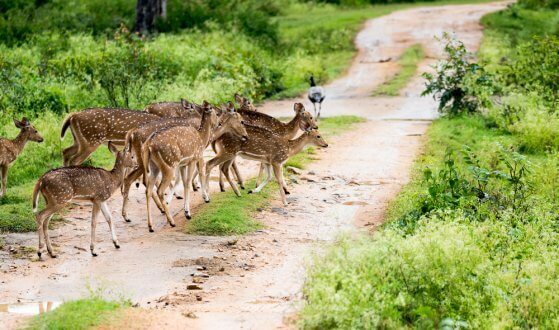 If you love to watch a deer silently grazing then Bandipur is an ideal place to spend some time. 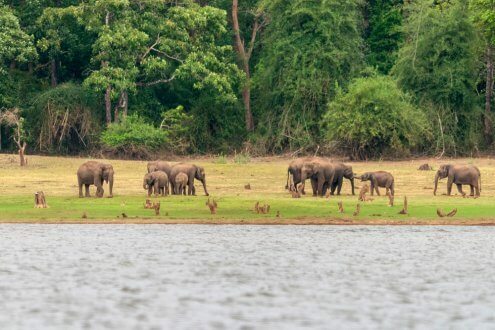 Bandipur is blessed with phenomenal scenic beauty, and it is home to rich wildlife where you will find elephants, hornbills, deer, pythons, and sloth bear, which makes it a perfect place for animal lovers. Things to do: Jungle safari, site seeing, watching wild animals and variety of bird, etc. It is blessed with nature and is situated near the River Cauvery. The place is a haven for nature-lovers. You can find a huge variety of flora and fauna like the Mahseer fish, elephants, deer, crocodiles and a myriad of bird species in Bheemeshwari. The place has many gorges, waterfalls, dense forests and other natural sceneries. This place is perfect to relax and enjoy the beauty of nature. Adventure activities trekking, elephant rides, camping are also available here to give an adrenaline boost to your veins. Things to do: Trekking, kayaking, ziplining, safari, mountain biking, etc. 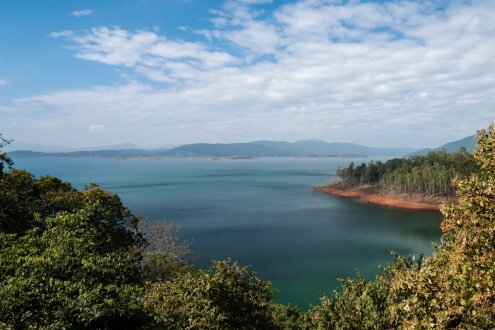 Sakleshpur is a 2-day road trip from Bangalore and a hotspot for adventure lovers. Greenery and charming landscapes of Saklesh will take your breath away. The place is surrounded by slopes that are covered with tea, coffee, and spice plantations. 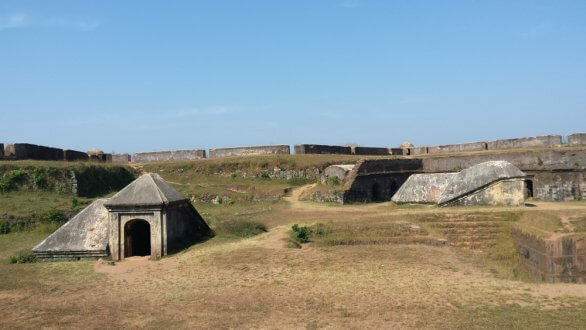 Amidst the peaceful environment, you can breathe fresh air over here while enjoying sniffing the bittersweet aromas of fresh coffee and Manjarabad Fort and Bisle Ghats are top to visit in the list of Sakleshpur trip. If you are looking forward to taking a break from your fast-paced life then heading to Masinagudi is the right thing to do. It is famous for its lush vegetation and wildlife. The alluring vistas and stunning nature of Masinagudi are mind blowing. 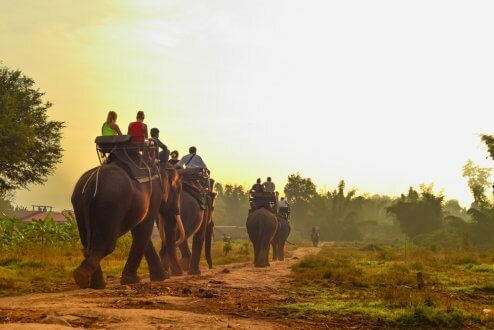 Apart from appreciating nature, you can do many more activities like exploring the hidden trekking trails, visiting Mudumalai National Park, or watching how tea is processed. If you love water sports and want to enjoy river rafting, Dandeli is the place where you can enjoy all these water sports activities. You can enjoy the high currents of the mighty Kali River in Dandeli during river rafting. But it's not for the weak hearted people because you will need to face the current of the flowing river. Dandeli Wildlife Sanctuary is home to many wild animals including black panthers, monkeys of various species, elephants and many bird species. It is an unexplored and beautiful heaven on the earth, which literally means ‘Ganges from deep’. The hilly place has some fascinating caves that are formed by rocks that make it an ideal place for adventure seekers. You can go for trekking, rock climbing, and caving here. Dark and mysterious caves will enthral your experience. 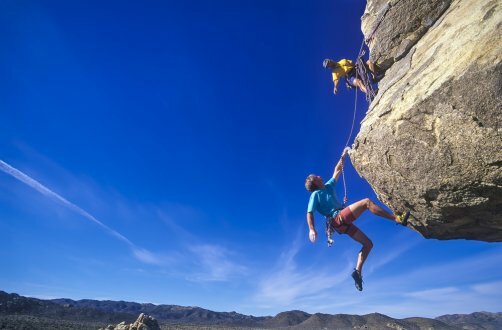 Things to do: Trekking, caving, rock climbing, etc. It is the most popular weekend getaway near Bangalore. It is famous for its scenic beauty and natural charm and is a popular holiday retreat. It derives its name from the mesmerising statue of ‘Nandi’ the bull God who is sitting right at the doorstep of the Yoga Nandeeshwara Temple. Also referred to as the ‘Niagara of the East’, this is a must visit place. This amazing waterfall will make your summer holiday special. 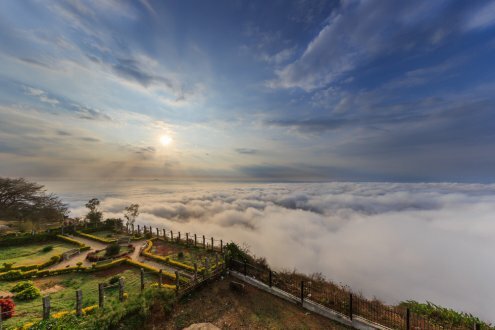 It is one of the most astounding places to visit near Bangalore in summer vacation. 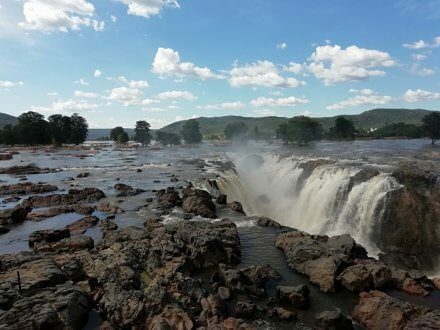 Hogenakkal Falls are known as the oldest waterfalls in the world, and they are the place where the Cauvery River splits into multiple streams. This waterfall creates a breathtaking view. Many movies are also shot here. This beautiful sanctuary is a delightful home of nature and adventure. It is also a World Heritage Site of UNESCO. It is one of the premier Tiger Reserves in the country. Along with this, the park is full of waterfalls, valleys, hills, and forests. 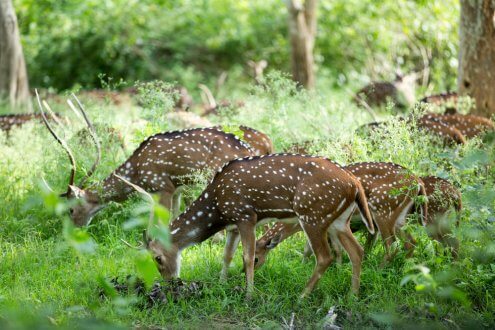 Nagarhole Wildlife Park is one of the best places to visit near Bangalore in summer for nature lovers. These are some of the best summer holiday destinations that you must pick on your visit to Bangalore. So pack your bags and book your hotel and air tickets ahead of time to avoid any hassles last minute. Booking in advance will help you get the best price. All the best for a great holiday!